This week, Cardus Work and Economics gave municipalities in Ontario data-driven advice about handling new powers over the debt trap that is the payday loan industry. Convivium’s Peter Stockland spoke with program director Brian Dijkema about helping cities help the working poor. Peter Stockland: Cardus Work and Economics has offered guidelines to municipalities for dealing with the so-called payday loans industry, which provides short-term loans at very high cost to people desperate for ready cash. Tell us about the initiative. What’s its purpose? Brian Dijkema: The paper was released Tuesday to councillors, mayors, and those working at administrative levels. Last year, Ontario gave new powers to municipalities. There’s always been a federal usury law that puts a cap on interest rates. There was recognition of, effectively, a black market operating outside that law. It arose from an exemption for loans that were $1,500 or less for 60 days or less. Those are what we call payday loans. To deal with the problems caused by that exemption, the federal government devolved power to the province. The province has now devolved power to municipalities. So, municipalities can't affect interest rates or anything like that. They can affect where payday loan stores set up shop in their cities. They’ve been given new power through zoning and licensing. Which NDP will introduce the "Act to End Predatory Lending"? PS: Reading the guidelines, you seem to take the balanced approach of saying to municipalities, "We know you want to do all that's good, but be careful because you might do a lot that's bad if you go too far. Don’t try to drive them out of business under the pretext of zoning." A lot of people would say: "No, drive them out of business pronto because they prey on the economically disadvantaged." But you’re saying, it seems, "Careful. There be dragons, too." BD: Exactly. What we're trying to do is get municipalities to think a little differently than the way governments normally do. When governments see a problem, they normally want to put restrictions on it. So they say, "Let's pull the leash on these groups, and that will be the most effective tool." What we're saying is, "What you actually need is to consider that if there's a weed growing, you need other healthy plants to choke it out." There are ways that cities can do that to use their power in a very affordable way. They can help with the increased alternatives and choices that consumers need. The payday loan market is dominated by very few [companies]. Up until very recently, there weren't many alternatives. Those alternatives are starting to sprout, and we're saying: "Cities, you can use your powers to help encourage those sprouts to grow." That's what we're talking about by advising against being satisfied with just restrictions. A lot of cities can provide services to these new alternatives in ways that are cost effective. PS: In essence, is it recognizing that if this operated as a quasi-black market previously, taking a purely punitive approach will just drive it back into the alley? If there are alternatives, what would some of them be? BD: Well, just down the street from the Cardus office in Ottawa, there's the Causeway Work Centre. It’s a civil society group working with people who are either working poor, or simply poor. And they’ve partnered with a credit union. Credit unions are now totally unregulated, so they can try out all kinds of things. They're constrained only by their requirements to act on their members’ behalf. So the alternatives have been popping up mainly from credit unions. Credit unions are saying, "Look, we have all kinds of people who have needs for credit, but for one reason or another can't get it. Let's try to provide that credit for them in cost-effective ways." We've seen credit unions like Alterna, Windsor Family, FirstOntario and a number of other credit unions looking to put these products out. That's a great thing. It’s exactly what [Work and Economics] recommended in our first paper on the payday loan industry. So they say, "Let's pull the leash on these groups, and that will be the most effective tool." What we're saying is, "What you actually need is to consider that if there's a weed growing, you need other healthy plants to choke it out." But one of the challenges is that the payday loan stores do a lot of advertising to promote their products. Advertising is expensive and so we're saying to cities, "Here's one way that you can support the business structure of these community-focused alternatives." 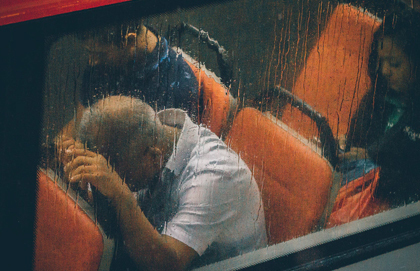 If you've ever been on [public transit], you’ll have noticed there's always empty ad space on the buses and trains and in the stations. Those places are exactly where customers for these types of [payday loans] are present, using public transit to get to work or appointments. If it is under-utilized advertising space anyway, why wouldn’t municipalities make a deal with credit unions and alternatives to market this product? Why not help them cover one of the major overhead costs? Some libertarians don't like this idea because they think it interferes with the market, but I say: "Look, it is a community issue. [Payday loans] do keep certain people in a spiral of debt. This is a legitimate enough concern that cities can take positive action without being seen as being too intrusive into the market." They can assist by lending ad space, or space in places where a lot of the ALICES – Asset Limited Income Constrained and Employed People – live and work. PS: So the goal is to let someone riding the bus, say, to a minimum wage job see that there actually is an alternative to paying exorbitant interest rates, and that they at least have an option other than the payday loan stores? BD: That's what's needed in Ontario. Until people know there are legitimate alternatives, we can't pretend their cash needs are just going to go away. That's not responsible policy. PS: The question that always comes up, though, is this: Why can't people who end up going to these payday loan places manage their affairs more efficiently so they don't have to get a loan on the 23rd of the month to "tide them over" until the 30th, knowing there's no way they're going to be able to pay it back anyway? Why can't they organize themselves effectively enough not to become trapped in that cycle of crippling interest rates in the first place? BD: It’s a good question. We don’t know everybody's individual balance sheet. We do know a little bit about why people use [payday loans]. People often think the loans are used for discretionary purposes. That doesn't seem to be the case. Only about 13 per cent of [customers] borrow for discretionary purposes. If you’re earning minimum wage, you can be an excellent manager of money and still run short. Say you have a sick child, have to take two shifts off work, and you’ve run out of vacation time. What are the alternatives to these expensive loans for you? Why can’t you just go to the bank and get another credit card or something like that? Well, because sometimes people don't have good credit. It takes being part of the system to build up a credit record. The data show that a lot of people just don't have that good credit record. Or they've been denied credit cards because they've made stupid decisions in the past and are still trying to get out of [debt]. They need a lender of last resort. We can make judgments about them, although I don't think the facts back up the claim that they are poor managers of money. Often they're making the best decision they can at the margin. They actually do look at their costs and say, "Okay, if I get a credit card, this amount of money will be available to me, but I can't do it in this case. So I'm just going to [borrow from a payday lender] this one time to cover the $300 I need to fix the brakes on the car." For that person, not getting the brakes fixed might means losing a job. Or it might mean that they have to spend two hours on a bus away from their kids. So, there's an argument to be made that [payday loan companies] do provide a service. Banks and credit unions are doing a lot of work on financial literacy to help people budget and be thrifty, and I'm all in favor of that. But, ultimately, I don't think it's healthy, when somebody's drowning, to say, "Well, why did you go into the water without a life jacket?" When they're drowning, they're drowning. You’ve got to get them out somehow. Afterwards we can say, "Here's a water safety lesson in how to use a life jacket." But not before they’re safe. PS: Just to go back a bit, what do you think of the devolution of power over from Ottawa to Ontario to the municipal level? Does it seem peculiar for the federal government to download that kind of power to the province, and then to see the province trying to use zoning regulations to control what is really a major social problem of poverty? How do you cure poverty using tools meant to control signage and land use setbacks? BD: That's exactly why our recommendations say, "Look, cities, this is really part of a bigger problem." It's not payday loans that are the problem. Payday loans are a symptom of a bigger issue. It’s where things like income supports, and health, and civil society and families, and all the rest actually matter. This is why we're recommending a little bit of humility in what can be accomplished by municipalities. PS: Have you done any sounding out in terms of openness to looking at the guidelines and taking some of them into consideration, or even put them into effect? BD: We have had some conversations with [municipal] counsellors, many of whom are asking the question that you just asked: "Why do we have to deal with this?" The truth is that this is now the law is because some cities wanted the power. 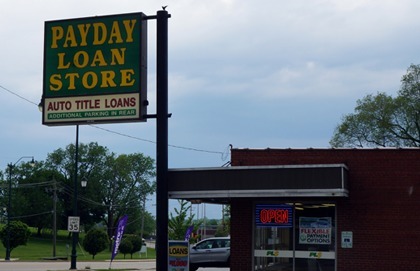 They didn't like payday lenders, and so they wanted to be able to do something about them. Under previous provincial law, they couldn't. So you have a mix, I think, between various councillors scratching their heads wondering why it’s even their responsibility, and others were saying, "We want to do something and this is the way to do it." What we're trying saying is, "Look, if you have these new powers, try to at least do things that are backed up by what the data seem to show, and so make some sort of rational decisions instead of just doing it out a gut reaction that these things are bad." You can't just say they're bad, let's get rid of them. Brian Dijkema is Program Director, Work and Economics with Cardus, and an editor of Comment.